The heart & brains of the whole system is the JBL CSMA2120 70V mixer amplifier. The CSMA2120 allows you to connect up to 8 different sources like CD players, satellite receivers, MP3 players, and microphones. Those inputs are assignable to dual 70V speaker outputs with 120W of power each. The CSMA2120 has microphone inputs with voice priority so you can set it up as paging system that will duck out the music for any pages that come through. The CSMA2120's highly efficient Class-D DriveCore amplifiers makes these units environmentally friendly as they draw less power and due to their reduced size and weight, are cheaper to ship. 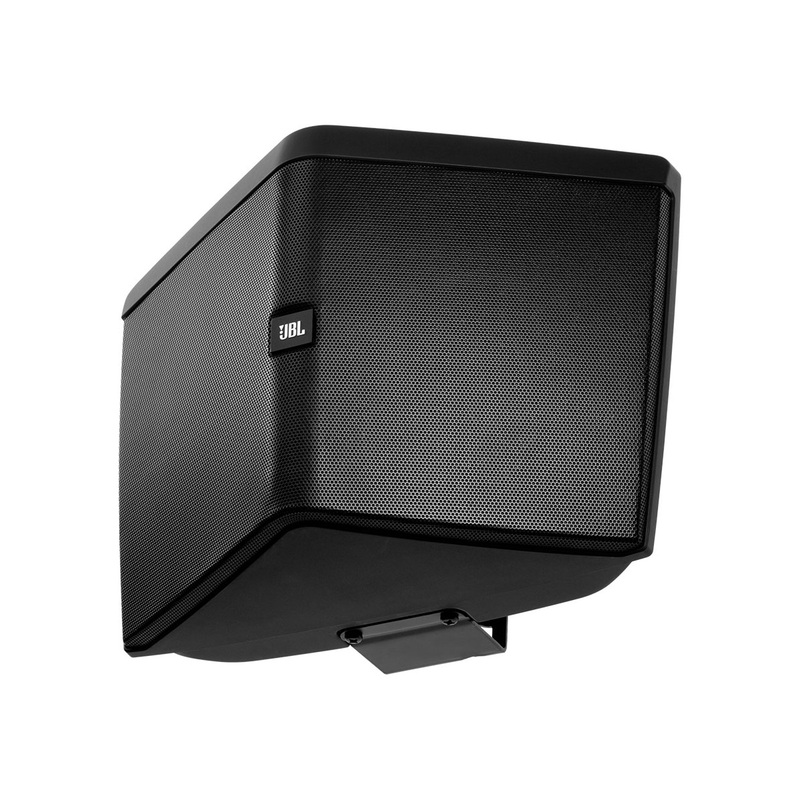 The patent-pending design includes a wall-facing woofer, two horizontally splayed tweeters, a wall bracket that spaces the speaker the required distance from the wall, and a tapered cabinet that provides proper loading and dispersion of the sound. 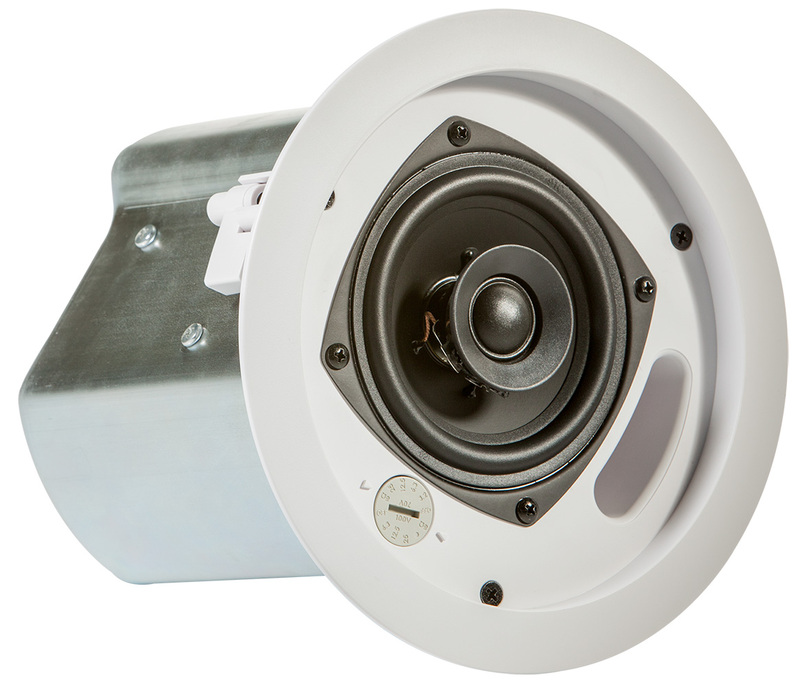 With most on-wall (surface-mount) speakers, the baffle of the speaker is some distance from the wall. It is the nature of low and low-mid frequency sound waves to wrap around the speaker, where they reflect back out from the wall, recombining with the original sound. When this occurs, some frequencies add coherently to the original sound and other frequencies cancel, causing peaks and dips in the resulting frequency response and inconsistencies from location to location within the listening space. By substantially reducing this occurrence, Control HST is able to provide a flatter resulting frequency response along with a more consistent sound character throughout the room.